Every Earth Day needs a scientific perspective. The University of Florida Institute of Food and Agricultural Sciences has hundreds of scientists and educators ready to share scientific insights into today’s most important environmental issues. See below to some of the areas we are working in today. There are also several UF/IFAS Earth Day events happening throughout the state. or Libbie Johnson, libbiej@ufl.edu, 475-5230 ext. 119. 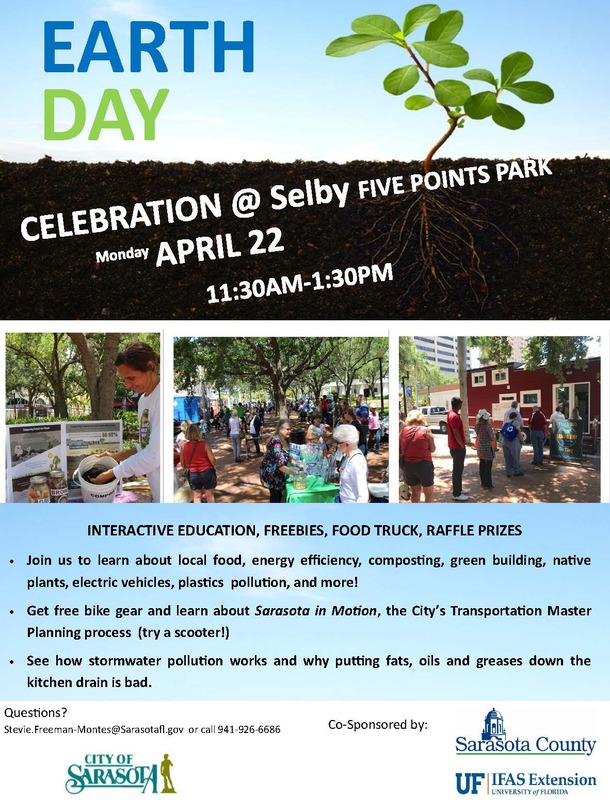 Earth Day Celebration @ Selby Five Points Park, April 22 – Learn about local food, energy efficiency, composting, green building, native plants, electric vehicles, plastics pollution, and more. See Flyer. City of Altamonte Earth Day, April 20 – UF/IFAS faculty will be speaking about landscaping best management practices. Event information. Casselberry Earth Fest, Apirl 27 – UF/IFAS faculty will be speaking about landscaping best management practices. Event information. Oviedo Arbor Day, May 4 – UF/IFAS Extension Seminole County will have a table with information about landscaping best management practices in conjunction event’s tree giveaway. Event information. own personal plastic free commitment. Anastasia State Park, St. Augustine, FL. Register online. Estuaries are the nurseries of the sea, and oyster reefs help keep them healthy. But over the last 30 years, reefs have seen a sharp decline. UF/IFAS researchers are working to fix that. UF/IFAS scientists are monitoring how changes in the Everglades affect the species who live and migrate there, including wading birds, crocodiles and invasive species. Coastal areas are vulnerable to erosion and other issues. UF/IFAS scientists are finding ways to protect these areas by creating living shorelines that keep ecosystems in place. Fish and other sea life depend on coral reefs for habitat. UF/IFAS scientists are creating artificial reefs that mimic the function of natural reefs and give marine animals places to live. Invasive species, such as Brazilian pepper tree, the Burmese python, lion fish and bufo toads. Threatened species, such as pollinators, sea turtles, fox squirrels and the torreya tree. Citizen science surveying of horseshoe crabs, urban wildlife, seagrass and more. Most of the plastic that’s ever been created is likely still around today. The UF/IFAS Microplastic Awareness Project is working to educate people about how they can reduce the amount of plastic that gets into the environment. From tackling red tide to helping homeowners use less water, UF/IFAS helps Florida better manage its water resources. Prescribed fires keep forests healthy and help prevent wildfire. UF/IFAS scientists are learning more about how prescribed burning impacts Florida forests. See a topic above you’d like to know more about? We can connect you with the relevant expert. Contact Samantha Grenrock at 352-294-3307 (office), 949-735-1076 (cell) or grenrosa@ufl.edu.